A VERY ATTRACTIVE MAHOGANY DACHLUHR OF TWO MONTHS DURATION WITH A ROUNDED TOP. CIRCA 1830. 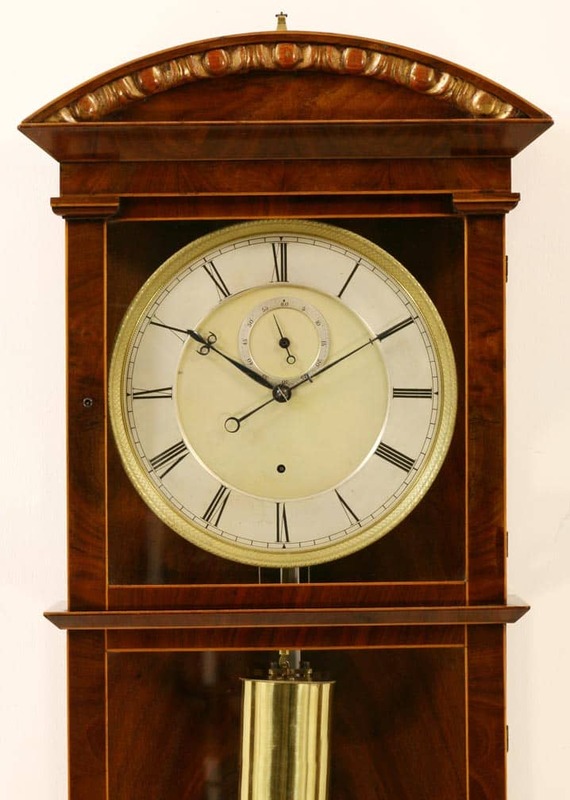 A rare and unusual two month duration mahogany Dachluhr. The case with a rounded roof top has gilded egg and dart moulding to the front. It then progresses through an opening top door, through a moulding to a further opening trunk door. There is extensive boxwood stringing to the case which has a typical under curved base, again with a gilded moulding. The dial is a particularly nice feature. 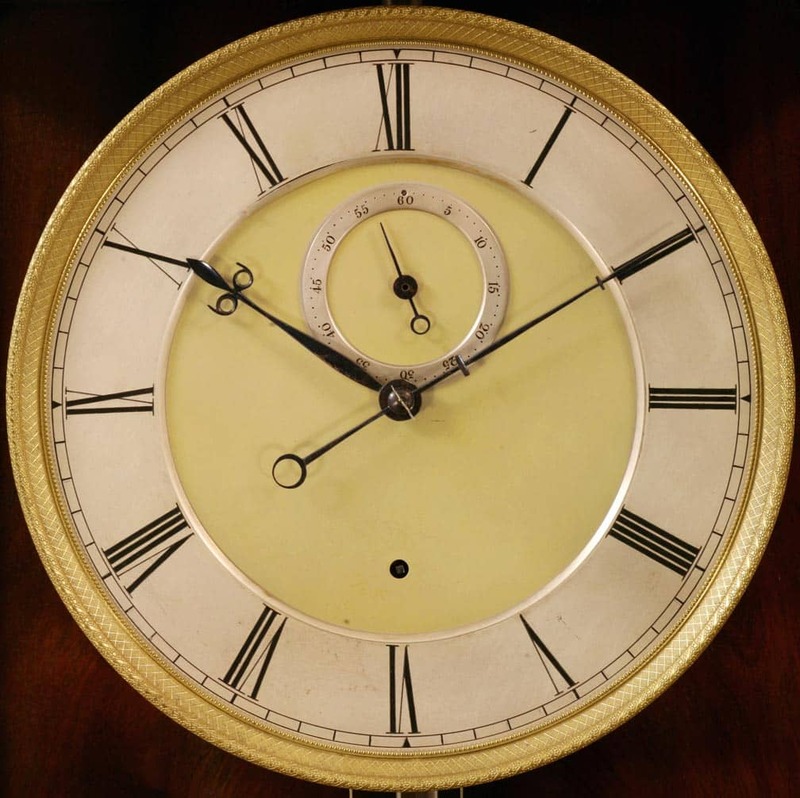 It is of two piece construction with a silvered chapter ring and a gilded brass centre with a further applied seconds chapter ring, the whole enclosed within a well cast engine turned bezel. The two month duration timepiece movement has shaped plates with a five wheel train for the duration. It has a Graham deadbeat escapement, beat adjustment to the end of the crutch and is held in the case via a keyhole mounting. 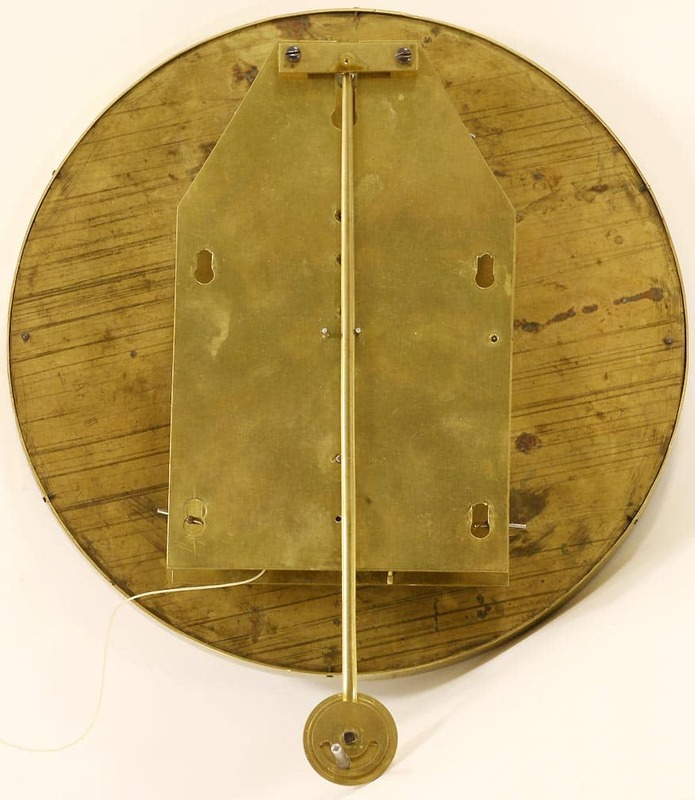 The pendulum has a steel rod, but with brass compensation bars attached. 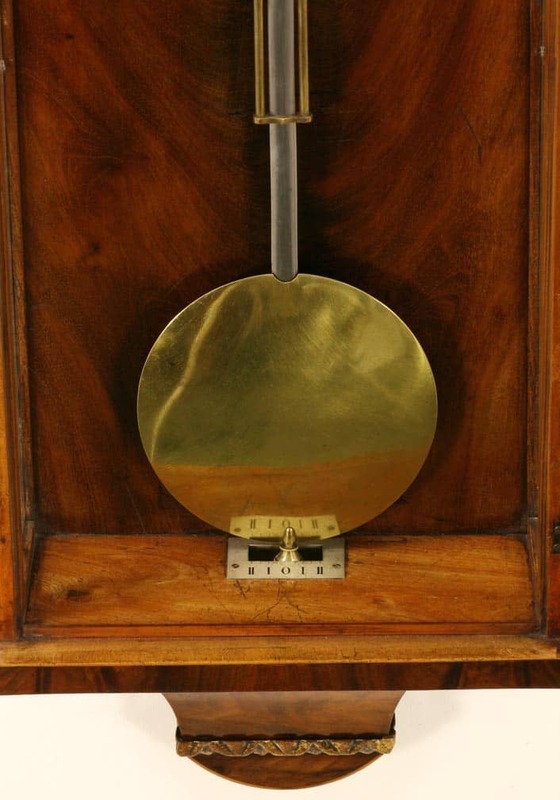 In order to get the seconds beating length in a smallish case it has been suspended at the very top of the case, indeed the mounting block for the suspension protrudes through the top of the case and the base of the pendulum runs in a hollowed out section of the base which is surmounted by a square beat plaque.